Travel along with Goku for only 4.99! Available in hardback on Amazon for 29.99! 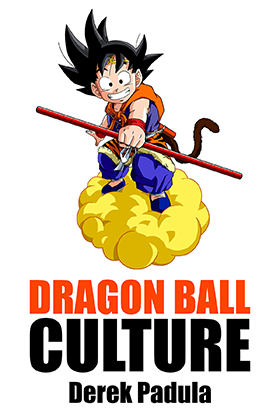 Join me in Dragon Ball Culture Volume 2, as we travel along with Goku on his epic journey for greater strength. With each step that Goku takes, you’ll discover more of the hidden spirituality and symbolism in Dragon Ball that makes the series so successful. You’ll see how author Akira Toriyama synthesizes Chinese culture, Western technology, and Buddho-Daoist philosophy to create a series that speaks to your humanity. Not because of the action or the humor, but because it reminds you of what it means to be alive. Volume 2 explores Chapters 1 to 23 of the Dragon Ball manga. Walk with Goku, Buruma, Uron, Yamucha, and Puaru as they travel across the world in search of the dragon balls! What challenges await our young hero? Why is Dragon Ball so popular? How does Akira Toriyama incorporate East Asian and Western culture? Along the journey you’ll learn of Goku’s ancient origin. You’ll hear how the legend of a wild monkey-man begins in India, evolves across 2,000 years of Chinese and Japanese history, and leads to the Goku you know and love. Will the wish of Goku and friends come true?